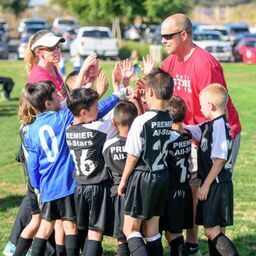 Congratulations to the U8 Boys Premier All Star team and their coaches Eric and Nicole for their exciting win in the finals of the New Year's Kick Off tournament in Escondido this weekend. After the game Coach Eric said "It went to penalty kicks and our goalie had two unreal, out-of-body, Jedi diving saves." What a way to end a tournament.